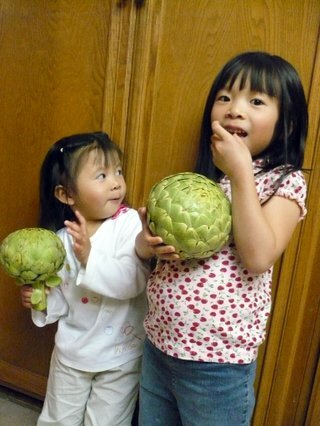 For dinner, we're going to eat the largest artichokes I've ever seen. I think it's going to take at least an hour to steam, and maybe about that long to eat... dipped leaf by leaf into a little sauce made of mayonnaise, mustard, lemon juice, salt and pepper. So yummy! And guess how much they cost me? $1 each. A dollar! Too bad I missed National Artichoke Heart Day on March 16th. Oh well, I guess we're making up for it today. Better late than never, right? Oh, yum! 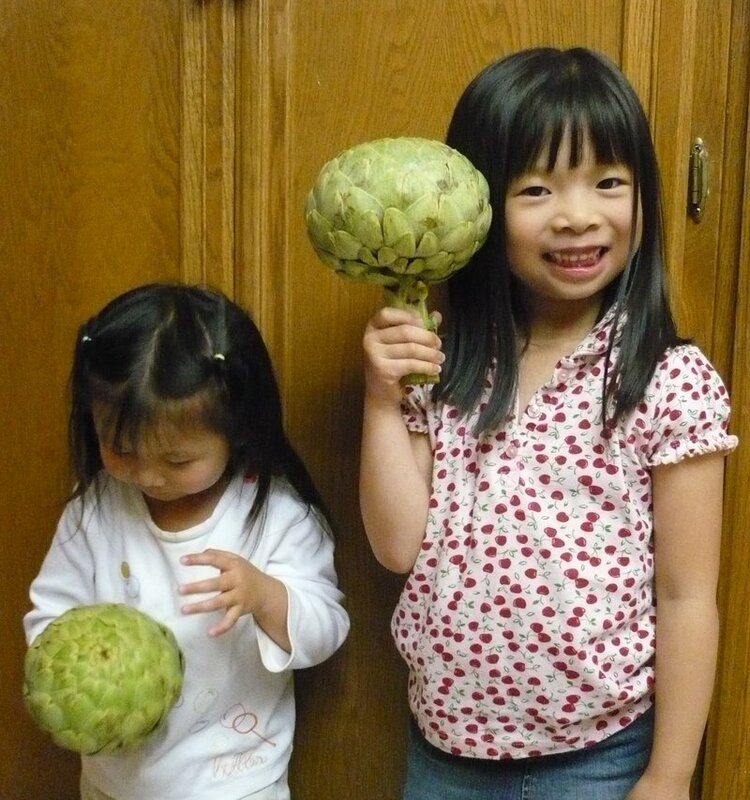 I've never seen artichokes that large, either. I just love those photos! OMG! Those are HUGE! What terrific pictures! Holy smokes! This artichokes are huge!!! wooow! i have never seen any artichokes any where near that big! those puppies are huge!! how long did they end up taking to cook?